AMERICAN JEWRY’S STRENGTH lies in its racial solidarity. This solidarity extends beyond America’s shores throughout Europe. Because Jewry has persecuted Christianity beginning with the French Revolution; up through the Bolshevik Revolution; the decimation of Eastern European Christianity; the Spanish Civil War; the expelling of Palestinian Christianity; and of late, the handing over of Orthodox-Christian Serbia’s Kosovo province to the Muslims - the Gentile host nations of Europe have been rendered “diverse” before a monolithic Jewry. 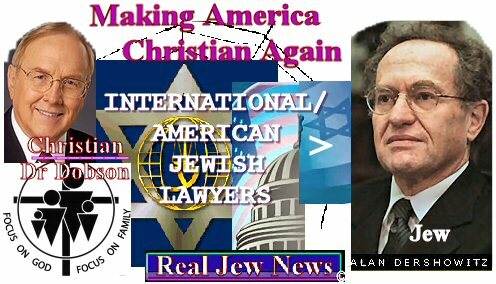 + And Christian morality - has rendered the Gentile host nation of America a “pluralistic” society before a monolithic Jewry. Thus “Dilute & Conquer” is American Jewry’s War Cry! THE EXTENT OF JEWISH FINANCIAL CONTROL is indicated by examining the roster of the Directors of America’s leading International Corporations. By the 1960’s for instance, Sidney Weinberg of Goldman, Sachs Bank was on the Board of Directors of the Ford Motor Company. By the 1970’s, other Jewish partners of Goldman, Sachs Bank were on the Board of Directors of such companies as: McKesson & Robbins; B.F. Goodrich; and Sperry-Hutchinson. Partners of the Jewish banking house of Kuhn, Loeb (now Shearson-American Express) are directors of: Westinghouse; Getty Oil; and Kennecott Copper, to name a few. Lehman Brothers Banking partners are directors of: Pan American Airlines; RCA; and Caterpillar Tractor, again to name only a few. Lazard Brothers Bank (NY & France) has controlling interest in such companies as Lockheed Aircraft and IT&T. 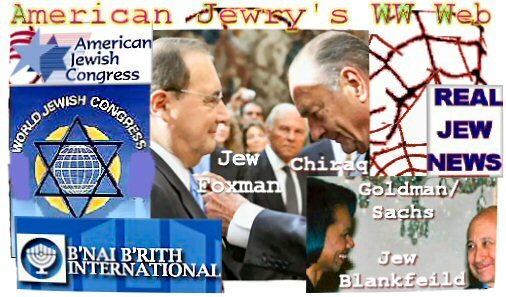 And all of these Jewish Banks are co-owners of the privately-held Federal Reserve System! 1) Americans must dedicate their lives to Jesus Christ and regular Church attendance. 2) Americans must organize many more Christian Lobby Groups such as Dr. James Dobson’s Focus On The Family. 3) Americans must get on their knees and plead with the Lord Jesus Christ to make America a Christian nation once again! Talmudic jewery in practical application. A Sleepy Iowa Town Is Transformed Into A Multicultural Sewer. Basically some New York Hassidic ‘Flim-Flam’ artists, walked into a small Iowa town, bought off the local politicians, and established a giant slaughterhouse. They quickly flooded the plant with Mexican, Guatemalan, and Chinese immigrants. The Rubashkin Family quickly took control of the town, and now it’s a cross between Krakow, and Mexico. 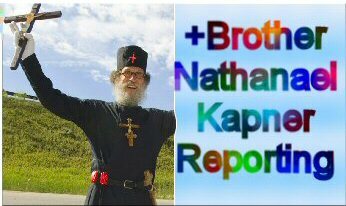 keep up the good work Brother Nathanael! Do you travel to speak anywhere? I’m also from Pittsburgh. I am so grateful to your website. It is a true bright light. Thanks for shining the truth in this dark world. Speaking of dark world, what do you think is the purpose of chemtrails? Christians in North America and Europe must take back their countries.